I like the vagueness of the token foreigner’s words, “my country” because that could mean anything. Perhaps he is a successful businessman, since he is well-dressed and has access to slick hair creams. I like his grand gesture as well. It’s like he’s welcoming Barbara Bush to Fantasy Island. Perhaps some of you are programmed to be on the lookout for racism, so you can’t possibly enjoy this. Let’s find an opportunity to be offended; won’t that be fun? But break down his words; there isn’t anything pejorative there. He’s not represented in a demeaning way. He’s not dressed in rags or carrying a water vessel on his head–or a towel–or a sombrero. 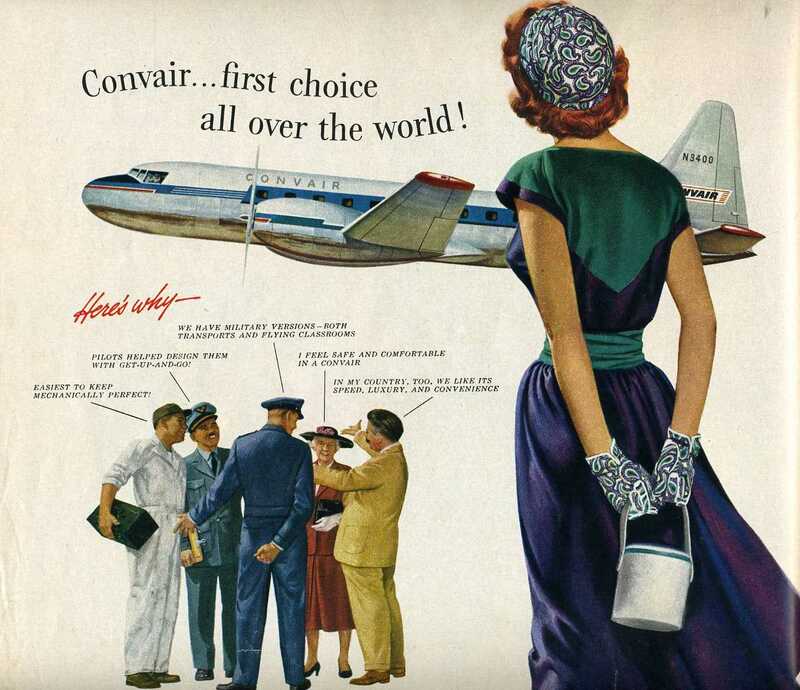 He’s simply declaring that all countries can appreciate the merits of Convair. And if it still existed, perhaps I could, too. Anyone starting off with “In my country…” reminds me of Yakov Smirnoff. Oh, yes, I can hear it in his voice. Then it sounds humorous. She needed a break from Airforce One. Looks like Emma was indeed able to finally get away pearl, and her rope. 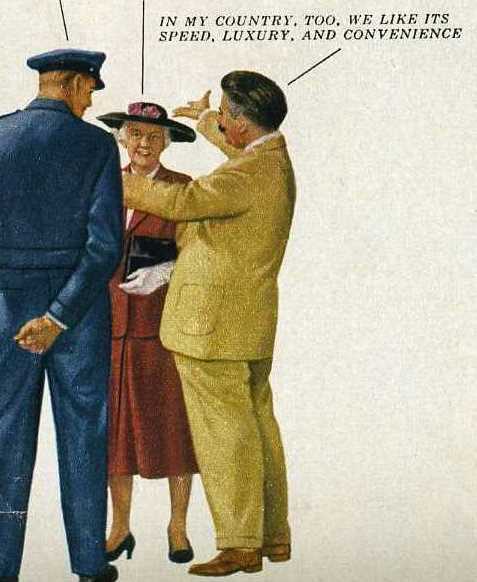 Glad to see she may have found a slicked back haired swarthy gentleman as possibly her traveling companion. Maybe she wears those fancy roping gloves as a memento of her past life. Those gloves are the bomb. Happy Thanksgiving!